Look on right side of my blog. 10 recent post animate order by. If you think show it follow my post. 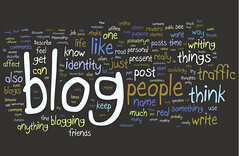 Change Your Blog URL with your blog ulr. And Change numposts = 10 if you want to show more or less post in here.